The comfortable rooms of the Hotel Excellency, with a few paintings hanging in the space, is located near the Sushant Lok Police Station. The nearest metro station is the Shalimar Huda City Centre, the terminal of the Yellow Line in Delhi Metro. The balconies and the lawn outside definitely offer a nice aura to the place. The glossy drapes and wooden furniture make the place quite likeable. All rooms at Hotel Excellency have air-conditioners and room heaters installed in them. 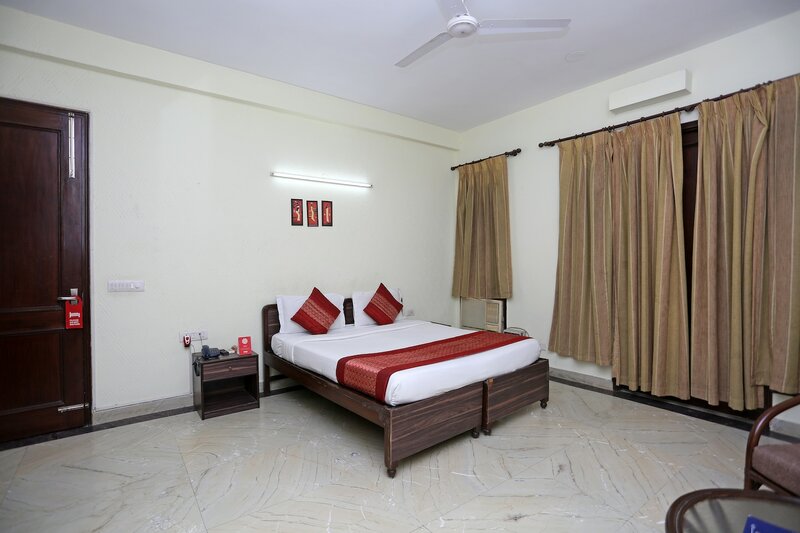 All rooms are also equipped with TV, geyser, wardrobe, free Wi-Fi, wardrobe and a seating place. Thai Pavilion, Mukhtalif Biryanis, Tunday Kababi Express, Kaiser, Wah Amritsar, Dine-Esty or Mummy's Kitchen are popular restaurants around.